Celebrating 31 years as a chapter! Social Hour: 5:30 p.m.- 6:30 p.m.
Buffet Dinner & Honored Guest Speakers: 6:30 p.m. - 8:00 p.m.
Great opportunity to network, connect with friends & colleagues, hear from honored guests, & catch up on chapter activities! Also ~ exciting news about our upcoming Region 15 symposium! 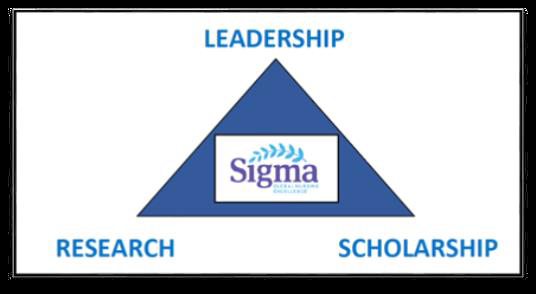 Submit your research, QI or EBP project abstract for an oral or poster presentation at this year's Region 15 Research Symposium: "A Call for Research that Begs to be Translated into Practice"
Kappa Zeta at-Large Chapter thanks its members who donated to the Sigma Foundation of Nursing. Their donations are helping develop nurse leaders through research, education, and global opportunities. Your philanthropic spirit is applauded. Building the Next Generation of Lifesavers - PowerPoint Slides Posted! ​Christine Lord, BSN, RNBC has shared the PowerPoint slides from her April 3rd presentation "Building the next Generation of Lifesavers". She discussed the incidence and survival rates of cardiac arrest,  actions that increase survival, and strategies to educate and equip the next generation of lifesavers. The Power Point slides are posted in the Library folder, "Programs and CEs" file - and available to all Kappa Zeta members (log-in required).